When you visit “Ouchi-juku” in Minami-Aizu, Fukushima Prefecture, it makes you feel like you got lost in a historical drama. This town which flourished as a post-station town during the Edo period brings back the cityscapes of the time, thatched-roofed houses line up. In the photogenic town, there are many delicious local cuisines such as “Negisoba” which uses a green onion instead of chopsticks, “Shingoro Rice Cake”, “Tochimochi Rice Cake” etc. Also near the suburbs are hot spots such as Yunokami hot springs. Ouchi-juku is a pleasant town to walk around. Thatched-roofed houses has become a variety of shops, and cute little goods and delicious items line up in the shop. 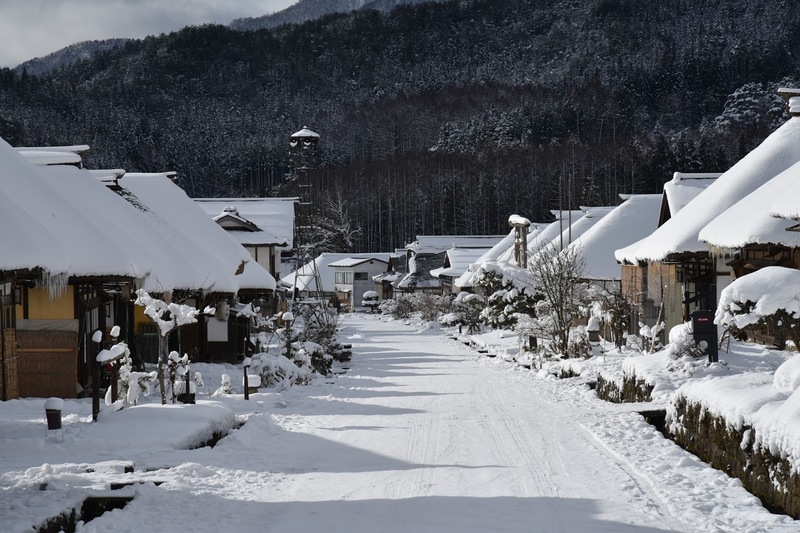 “Ouchi-juku” in Minami Aizu Shimogo in Fukushima Prefecture is a post-station town located in the “Aizu western highway” connecting Aizu and Nikko. Even now the beautiful streets lined with thatched-roofed houses are entertaining many tourists. The streets are paintable landscape everywhere, and it is a fun town to find the favorite angle. 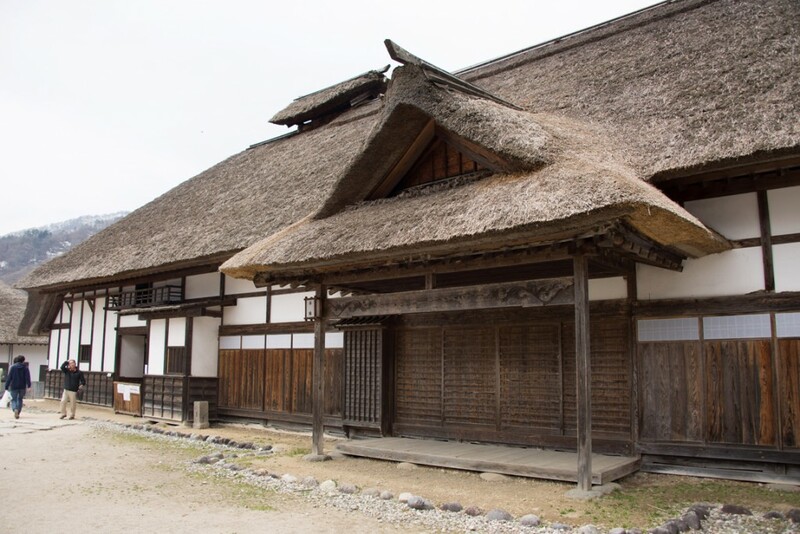 In “Ouchi-juku townscape exhibition hall”, tools of living at the time and the state of thatched roof replacement are reproduced. When you climb the stairs from the innermost part of the townscape, you go out to a place where you can see Ouchi-juku. There are landscapes spreading like a shooting place for a movie. The streets of this city have been protected by local people for many years. In Minami Aizu Shimogo town, there are many other tourist attractions besides Ouchi-juku. There are also “Tounohetsuri” where cliffs strike along the river, “Yunokami hot springs” rich in hot water, etc. Please enjoy your journey of Minamiaizu slowly. 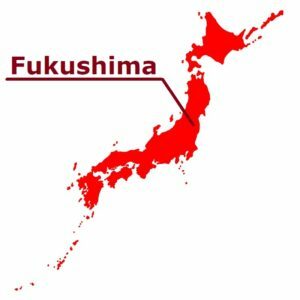 “Ouchi-juku” (post stations) in Fukushima Prefecture is located in the place which went south about 1 hour from Aizuwakamatsu city, and is one of the top tourist spots in Fukushima Prefecture. 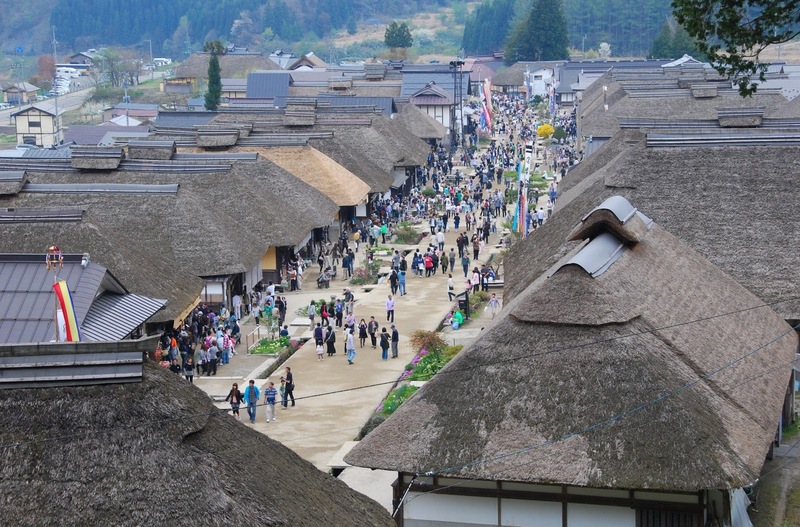 The landscape of the lodging town of the Edo era where thatched-roofed houses were erected is still present, and it is also designated as an important traditional building group conservation area. 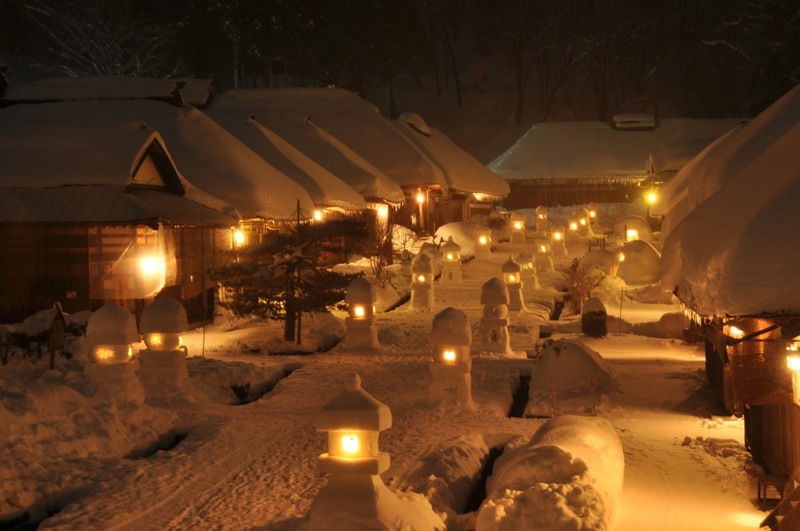 “Ouchi-juku” is a lodging town situated in a basin surrounded by high mountains. It was named this because it was an inn of the old Aizunishi-kaido Road which connects Nikko from Aizu in Edo era. About 30 such that-roofed inns, restaurant, and private houses such as souvenir shops are still in service. There is an old-fashioned scenery that one can be wrapped with a spectacle time-slipped to Edo era. “Ouchi-juku” has been popular with travelers in the past, and now it is a popular spot bustling with more than one million tourists a year. There are local specialties such as buckwheat noodles and residents also welcomes you warmly. Why don’t you feel nostalgic and visit like a traveler in the Edo period in this Ouchi-juku. In April, 1981, it was chosen in the important traditional buildings preservation district of the country and came into the limelight nationwide. The hip-roofed buildings formed in an orderly line being set beside a road in a right angle is characteristic. It was the post town of “a Half Farming, Half Hotel” in the Edo era, but it keeping the air of the Edo period and the town of the thatch private house is orderly and lines up along the old highway in the rural district. Approximately 400 years or more ago, it was flourished as an post-station town along the Aizu west highway which was important as a transportation road in the Edo era. 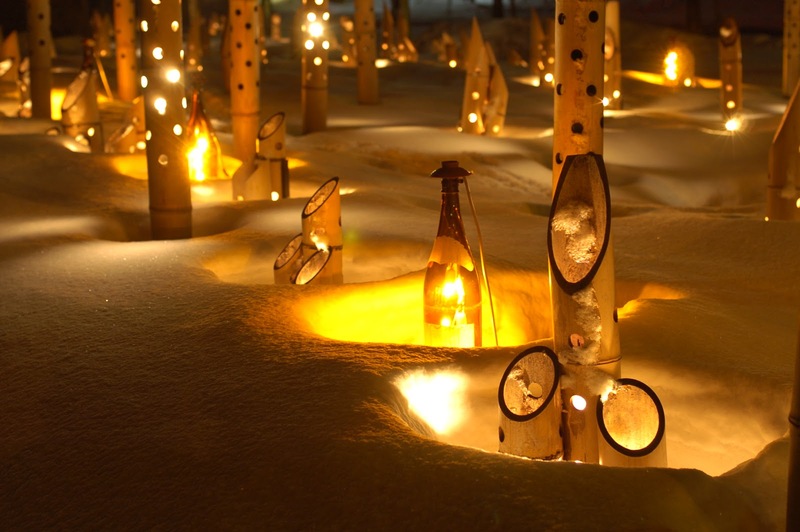 Fantastic snow lantern festival held in February. It is the popular spot that many people visit through one year. The charm of Ouchi-juku is to be able to perceive the Edo era. Because it is chosen in the important traditional buildings preservation district, the appearance of the town is concerned.